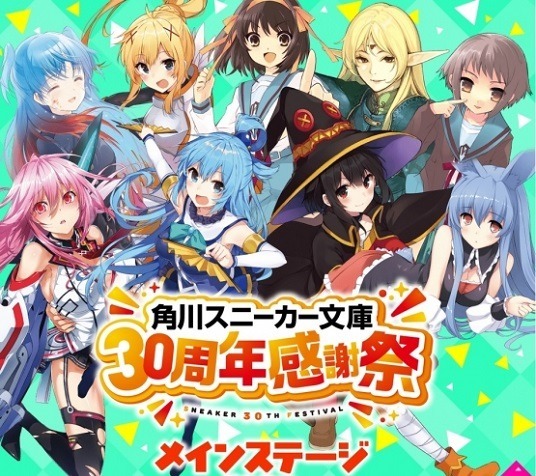 It has been announced that at the Sneaker Bunko 30th anniversary event, there will be a Haruhi Suzumiya stage event. To celebrate the series’ 15th anniversary voice actresses Aya Hirano (Haruhi Suzumiya), Minori Chihara (Yuki Nagato), and Yuko Goto (Mikuru Asahina) will make an appearance. Additionally, there will also be stage events for KONOSUBA and Record of Lodoss War. The event is set to take place on November 4.